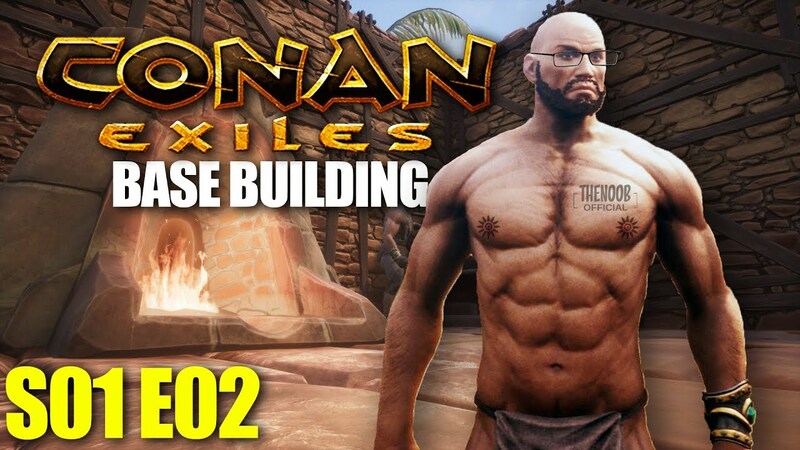 The most basic premise of Conan Exiles is survival in the fictional prehistoric Hyborian Age. Player characters begin convicted of various crimes, sentenced to nonlife, and are crucified under the scorching desert sun. The player is rescued by Conan, however, and as an exile must now navigate a harsh desert landscape, appropriately titled The Exiled Lands. Though large, this was initially the only biome available for exploration. The new update added a biome called The Frozen North. which added new elements to build, new armors and a whole new land to explore. It also added Star metal which is used to build strong armor and better weapons. An additional biome called “The Highlands” is expected to be released sometime during Q3 2017. According to Funcom community manager, Jens Erik, the finished game is expected to be around 53 km2.